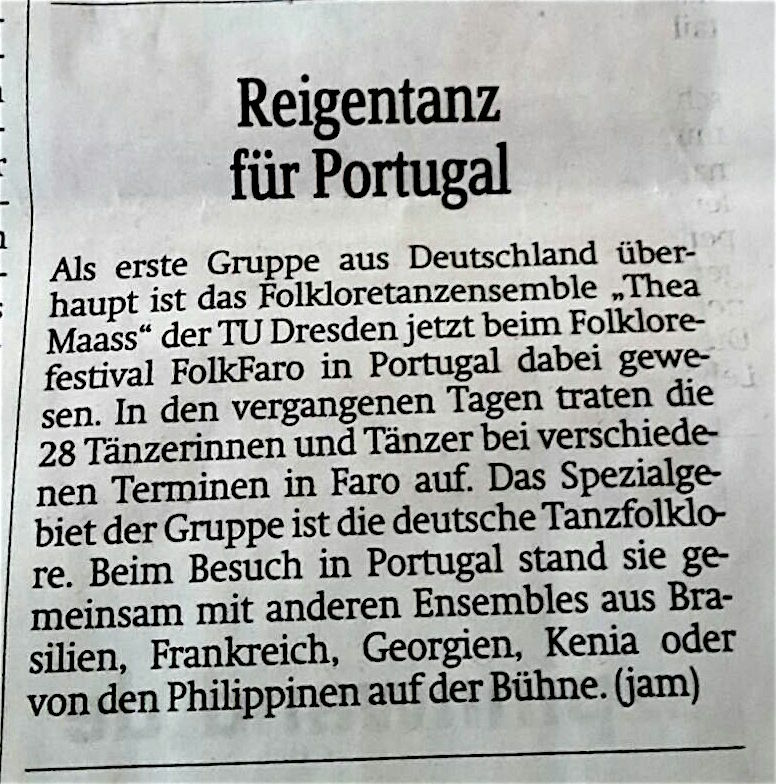 German folklore as guest in Portugal 2016 – Folkloretanzensemble "Thea Maass"
We’re glad to participate in international folklore festivals, dance-competitions and numerous regional performances fostering cultural heritage and art performances of German folklore dance every year. So, after 65 years of dance group history, we are still one of the most proficient amateur dance groups in Germany. 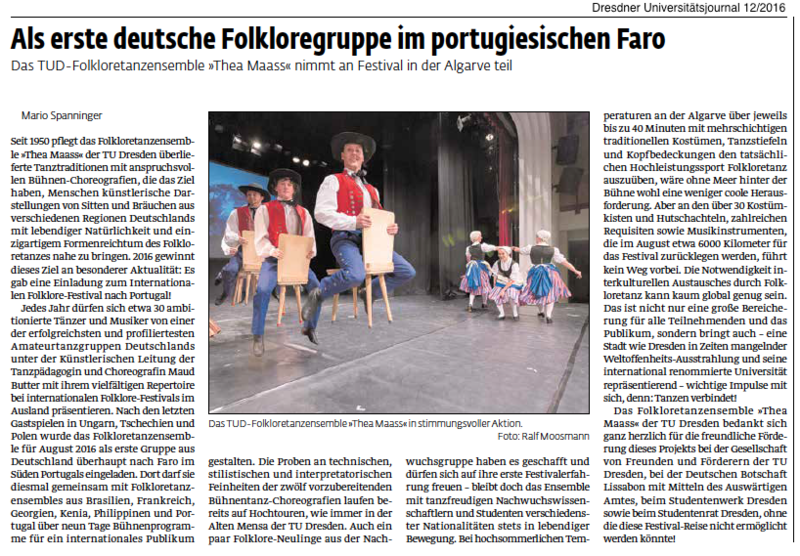 This year we have the privilege of being the first German dance group performing at the International CIOFF Folklore Festival FolkFaro in Faro/Portugal from 20th to 28th August 2016. 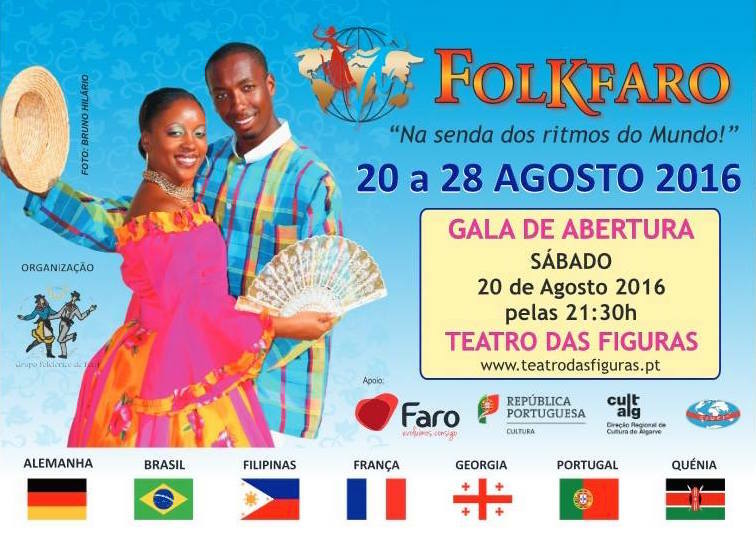 The preparations of our 12 choreographies for this festival are operating at full speed and our 28 participating dancers and musicians are looking forward to gain enriching experience and benefit from inspiring cultural exchange with folklore dance groups from Brazil, France, Georgia, Kenya, Philippines and Portugal and with an international audience. 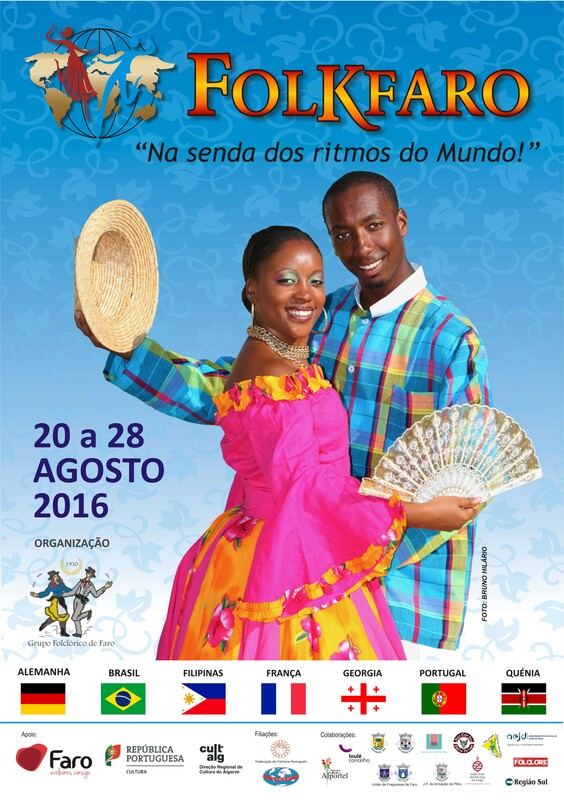 As well, we will have performances in the surroundings of Faro, like at the Festival Internacional de Danzas in Villablanca/Spain. 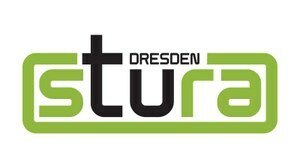 We thank the friendly project subsidies at: Association of Friends and Sponsors of TU Dresden, Amt für Kultur und Denkmalschutz of the Landeshauptstadt Dresden, German Embassy Lisbon with aid of the Department for Foreign Affairs, Studentenwerk Dresden and Studentenrat der TU Dresden, without whom our festival journey could not be realized! 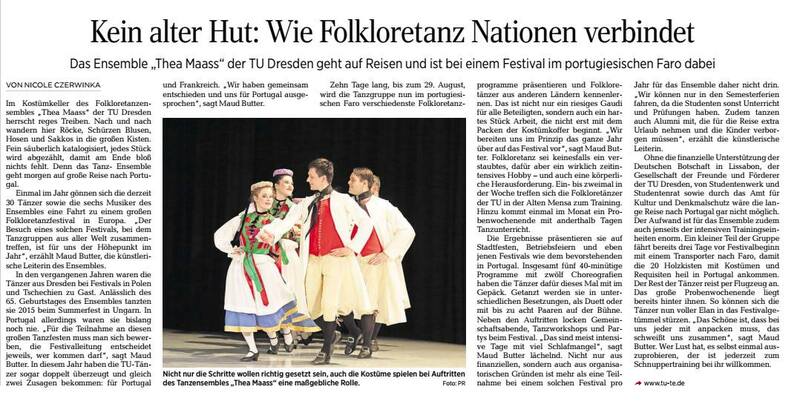 ← We celebrate 65 years of folklore dance at the TU Dresden!